AFS Retail Execution enables Carlsberg to reduce order-taking time and out of stocks. The history of Carlsberg Breweries began in 1847 when J.C. Jacobsen established his state-of-the-art brewery on a hill outside Copenhagen, Denmark. Since then, Carlsberg has expanded to become the fourth largest international brewery group in the world. Carlsberg Breweries had hundreds of its field sales reps using an older version of AFS™ Retail Execution, on a Windows Mobile platform, for product sales and distribution throughout tens of thousands customers (retail & horeca) in the Baltic countries, including: Lithuania, Latvia and Estonia. As the company aligned around their long-term strategy planning, there were requests for a new platform and environment. Plus, it was also difficult to source new devices with Windows Mobile. 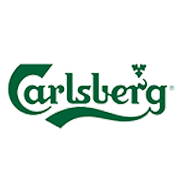 Therefore, Carlsberg decided to completely upgrade their existing Retail Execution Solution. ”Pushed by diverse forces such as technological innovations, changing market conditions, and old hardware, we needed to conduct a thorough due diligence process to ensure we selected the best solutions for our needs. We are convinced that AFS Retail Execution was the right fit for us since the people over at AFS know the beverage industry and have a robust solution which supported our long-term strategy,” said Curlu Seitumer, BSM, BRM, BPM Director, Carlsberg Group. The implementation on the new AFS Retail Execution went very smoothly. A decision was made to follow a cascaded implementation approach, starting with one country and expanding to the other Baltic countries. The plan was to have the whole procedure finished in less than six months based on the past experience and insights AFS had into Carlsberg’s business as well as the depth and scale of their process. The implementation also included requirements such as customization to the SAP ERP integration. Besides offering rapid time to value with a quick deployment, it was also a smooth error-free implementation. The solution was successfully implemented in July 2014 right before the beginning of the peak season in Baltics countries. What is worth a mention is that the implementation was swift and did not cause any interruptions during our peak season which was very beneficial in helping our go-to-market strategy with AFS Retail Execution. “The new AFS Retail Execution solution has been used in Estonia for months now and we are very satisfied. It has helped the sales reps work more effectively such as reduced time spent on order taking. We have also introduced new important functionalities like electronic information sharing (planograms, photos etc.) and benefits from the deployment of these modern devices has improved the way we work,” said Martin Raisma, Business Development Manager. Carlsberg Group. The front-end and back-end were easy to support and maintain, including the ability to make updates and create custom workflows without coding knowledge, resulting in significant time and money savings. The solution was more stable and efficient to work with orders, routes, forms and surveys. The marketing documentation was suddenly at the reps’ fingertips enabling them to easily present and share information about new products, planograms and promotions. Fast KPI availability for top management, gives them the ability to react and implement major improvements, such as decreasing out of stocks. AFS Retail Execution improved information flow between Sales Representatives their Managers and Back Office and helped them identify and fix customers’ issues faster. AFS Retails execution gave market ability to use different set of devices, now markets are not limited to only single platform. Swift and without single issue implementation and go-live right before peak season. “I look forward to the fruitful cooperation and we are excited about the new AFS Retail Execution solution as it has brought us amazing new possibilities and business development opportunities,” said Ardo Uudmäe, Senior Sales Development Manager Baltics.